Shihan Ed was born and raised in New Jersey. One would consider him a scrawny child who in school got his fair share of bumps and bruises from the neighborhood bully. After graduating high school he decided to study Martial Arts. He learned not only to defend himself, but it also helped in building up his confidence and self-discipline. Over the last 30 years he has studied several different systems. The most recent system he studied was registered as a Christian Martial Arts Ministry. This appealed to Ed, as he is a Christian with a strong faith. The concept in this system was to replace Eastern philosophy with Christian principals while teaching the Martial Arts techniques for self-defense. In 2006, Ed and his wife Nancy moved from New Jersey to Florida. Less than a year later and with some convincing from his Instructor, he started teaching the system first out of a church, then from a gym and finally to a storefront in Deep Creek, Punta Gorda, Fl. This proved not to be an easy road to journey down. Shortly after beginning teaching, he came across the disturbing realization the Instructor (and the founder of the secular federation under which his Instructor operated) were not following the Christian principles that were being taught and he started to question their business ethics. When it became clear to his Instructor and the federation that Shihan Ed could not accept their ethics, Ed found himself the target of a defamation campaign. This just convinced Ed even more that he had to hold firm and stand strong on his convictions. Shihan Ed disassociated himself from the school and federation. He removed all patches from his gi bearing their names so as not to appear to be promoting or condoning their behavior. He decided to start his own Christian Martial Arts Ministry and system, which is a compilation of the different systems he has studied throughout the years. Shihan Ed firmly believes that a certificate of rank should represent a certain achievement and NEVER be awarded unless the recipient has fully worked his/her way to that specific goal. Only then can a certificate be of value and honestly mark the progress of a student. Too often certificates are issued, not for achievement of rank and technique, but for the purpose of business manipulation and control of schools. It is Shihan Ed’s belief that this kind of practice only diminishes the validity and value of ALL certificates awarded, raising questions as to which certificates are truly earned and which are not. 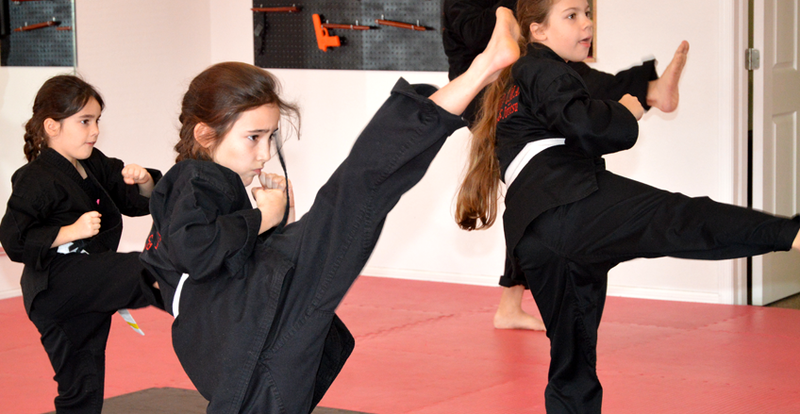 Like Shihan Ed, many Martial Arts schools today choose not to belong to a federation. The only authority that Shihan Ed wants to answer to regarding his Martial Arts Ministry is the Lord. The Lord has led him on a righteous path throughout his life when he has been obedient and listened to Him. It is only right to have the Lord as head of this ministry to lead Ed and his students on a path of righteousness. His hope is that all of the students who train under him will grow closer to the Lord through practicing the principals set forth in the curriculum. He realizes as a Ministry leader he has a great responsibility. One phrase that is spoken often by Shihan Ed is, “In Everything, Do Your Best and Let God do the Rest”. Isn’t that what really matters at the end of the day? Schedule a FREE instructor & student training session TODAY!